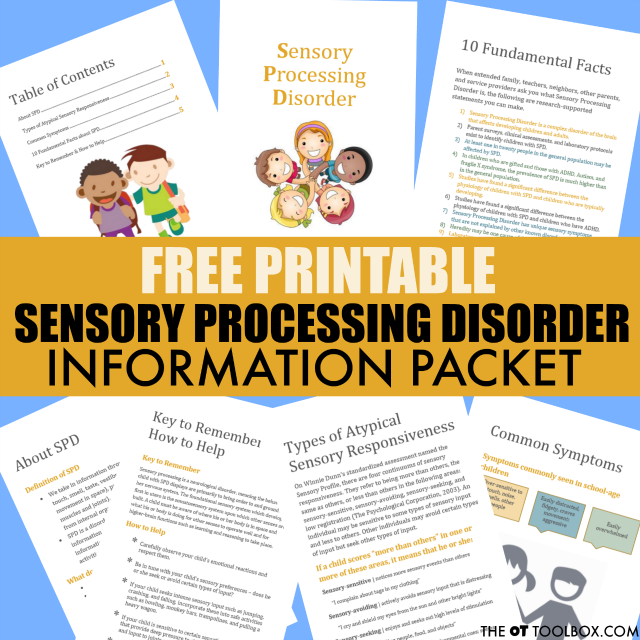 Below, you will find information on the tactile sensory system and how tactile challenges to the sensory system can result in difficulties tolerating clothing textures. 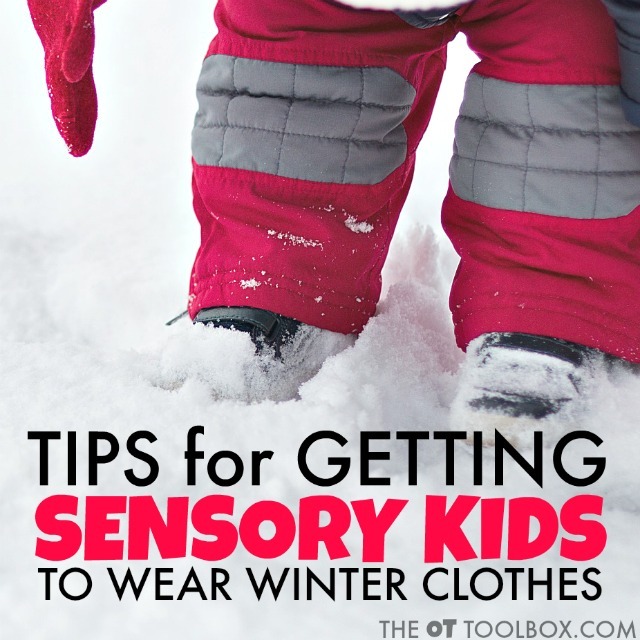 The strategies below are helpful tips for getting sensory kids to wear winter clothes. The Tactile Sensory System is one of the earliest developed senses of the body. The skin is the largest and the most prevalent organ. The skin performs unique duties for the body. Most importantly, the skin protects and alerts us to danger and discriminates sensation with regard to location and identification. The sense of touch alerts us to both discrimination and danger. These two levels of sensation work together yet are distinctively important. Tactile discrimination allows us to sense where on our body and what is touching us. With discrimination, we are able to discern a fly that lands on our arm. The second level of the tactile system alerts us to danger. It allows us to jump in response to the “fight or flight” response when we perceive a spider crawling on our arm. When either of these levels of sensation are disrupted, tactile dysfunction can result. This presents in many ways, including hypersensitivity to tags in clothing, sensitivities to heat or cold, a dislike of messy play, difficulty with fine motor tasks, a fear of being touched by someone without seeing that touch, a high tolerance of pain, or a need to touch everything and everyone. The information received from the tactile system includes light touch, pain, temperature, and pressure. When the tactile system is immature or impaired, the brain can become overly stimulated with resulting poor organization and regulation of input. Children can then experience difficulty with behavior and concentration as a result. When children with tactile discrimination issues need to wear winter clothing, meltdowns can result. The heavy winter coat is just not tolerable. 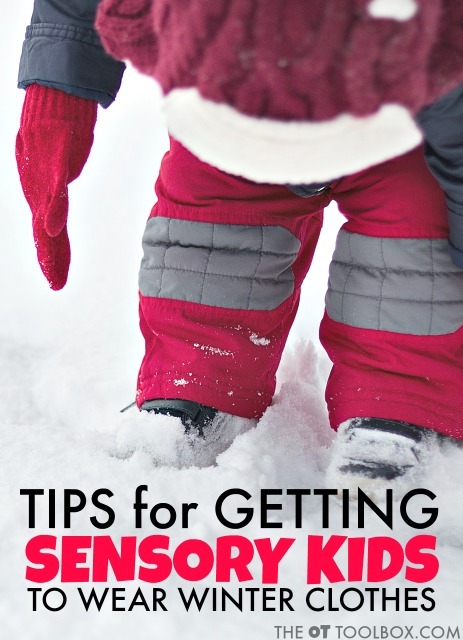 Use the tips below to help sensory kids wear winter clothes. 2. Utilize seamless undergarments (for girls or boys), clothing or seamless socks, or clothing with flat seams. These can be added under a layer of heavier socks or used in isolation. 3. Tighten or loosen shoe laces as prefered. A tighter shoe lace can provide compression through the feet. 4. Becoming overheated can be a big cause for a sensory meltdown or refusal to wear winter coats. Consider trying a fleece or lined sweatshirt instead of a puffy winter coat. 5. Cut labels from clothing. Don't forget the gloves, hats, jackets, and coats! 6. Wear two layers of socks or try wearing socks a size smaller for additional compression through the feet and ankles. Try using a knee-high length in isolation or under a second pair of socks. This can help the child who isn't able to tolerate socks slouching down inside shoes or boots. 7. Wash new clothing in hot water several times to loosen clothing textures. 8. Rub a thick cream such as aloe gel or cocoa butter on the body before dressing. Dry skin can cause itchiness during the winter months where dry heat is prevalent. 9. Provide a blanket in the car if a winter coat isn't an option. 10. Use fabrics such as cotton, fleece, and flannel. Avoid polyester blends. 11. Wear full body zipper pajamas (made for big kids!) with or without a compression layer underneath. 12. Use a winter vest or removable sleeves to quickly adjust for temperature changes. 13. Use a poncho or a car seat poncho instead of a winter coat.